This amazing book-themed boy’s birthday party is like stepping right into Dr. Seuss’ Go, Dog, Go! A childhood favorite of Chantelle, of Dolled Up Design, and also her son’s enthusiasm for it, made this an excellent choice for a party theme. Carefully coordinating the bright colors from the book, she brought it to life with DIY decorations, a delicious menu, and fun favors. 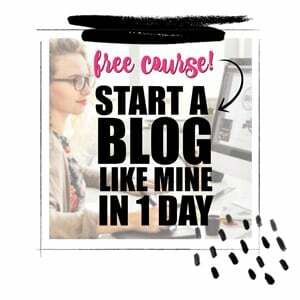 This exciting celebration is full of don’t-miss details, so go, go, GO to see how it all came together! Thing 1 and Thing 2 crashed this Cat in the Hat First Birthday Party You will like this. You will see. Check out this amazing Dr. Seuss Themed Dessert Table. 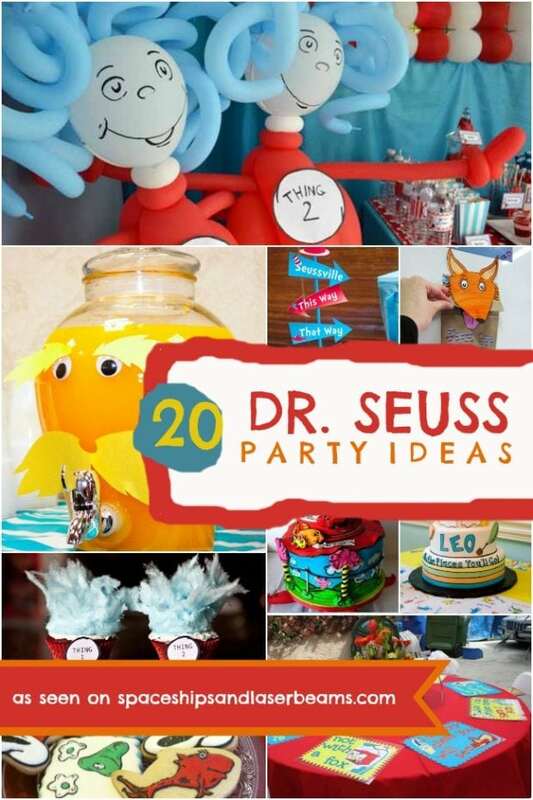 Get inspired with even more Dr. Seuss birthday ideas as you party plan. My favorite parts of this party are the whimsical scene recreations on the food table! A “tree” is crafted from a candle holder, a round platter, and tissue. The green frosting on the tree cupcakes was essential, but careful placement of the paper dogs brought pages from the book to life! Wooden cars with hand-sculpted clay dogs at the wheel zoom by a scrumptious lunch, with “big dogs” and “little dogs” (regular-sized and mini hot dogs) with all the fixings and “stoplight fruit” on the menu. On such a busy table, a white tablecloth and a simple striped table runner, plus white dishware, keep it looking nice and uncluttered. Striped and polka dotted paper plates and napkins look just right alongside theme-colored photo frames labeling menu items. This giant book is actually blank canvases covered with enlarged images! Camden’s favorite puppy, with his tiny party hat and copy of Go, Dogs, Go, is a nice touch. Decorating with balloons on sticks, instead of helium balloons, is a much neater and longer lasting effect. Big dogs AND little dogs love a candy buffet. A green striped table runner, pretty pinwheels, and shiny party hats made this table look good enough to eat. Guests helped themselves with small plastic tongs and loaded sweets into mini takeout containers. Big dog Camden was very happy that everyone came to share his special day. He thanked guests with paw-fect party favors: little dog-shaped boxes filled with Play-Doh and dog-and bone-shaped cookie cutters. As an avid reader who loves to promote literacy, I know that beloved characters and memorable scenes become more significant (to parents AND children) with time spent reading togetherit made this event special for both mother and son. Whether your son is crazy about Go, Dog, Go or ANY dog book, this event is full of great ideas for planning your own book-themed boy’s birthday party. Be top dog planning your own book-themed birthday party using these supplies gathered by the crew at Spaceships and Laser Beams. White Balloons with Black Paw Prints – Woof! Previous Post: « [Boy Bash] Dinosaur Birthday Party on a Budget!